Media especially newspapers are an incredible influence tools in society; they can easily turn on people emotions in favor or against any issue. This is because the public tend to believe everything that is written in the newspaper even if it might be the wrong information. What media think and want to spread, is what people will believe. For example, the newspaper coverage of the “War on Iraq”; is known as “War on Terrorism”. In this case the American Press influenced the readers to unleash feelings of patriotism about their army, which leads to a feeling of prejudice against the Middle East regardless the Iraqi real situation and their miserable life during the war. For a long time, especially after September 11 attacks, Islam is portrayed and is commonly accepted as the most violent and the largest direct threat to the West. 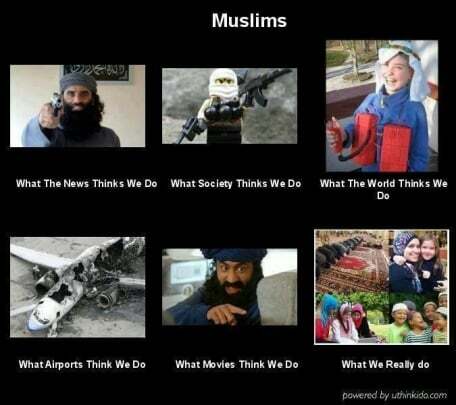 This is a generalization made by most of the West, but it is not particularly the West or the Muslims’s fault. There is constant turmoil in Islamic countries in the Middle East and these conflicts are what make the news in the West. The only representation in the media that the Islamic countries get is that of war. Though most Islamic people are not violent, mass media only select few examples of extremists and so called Muslims who participate in terrorist groups and stereotype the rest of the muslims as terrorists. This is one of the reasons why Westerners are often wary of Muslims. In contrast to what the media portrays, Islam is a peaceful religion that condemns violence or terrorism . To conclude, Mass Media has influence in our everyday lifestyles. In today’s world, people cannot live without Mass Media and with the help of technological improvements to send messages to the masses is becoming easier and faster than any time before. Thus, Media plays the most significant role in distorting the image of Islam and Muslims. Shown them as a source of fear, worry, and threat.